Our featured artist is K-Fai Steele, a 2018 Ezra Jack Keats / Kerlan Memorial Fellow. 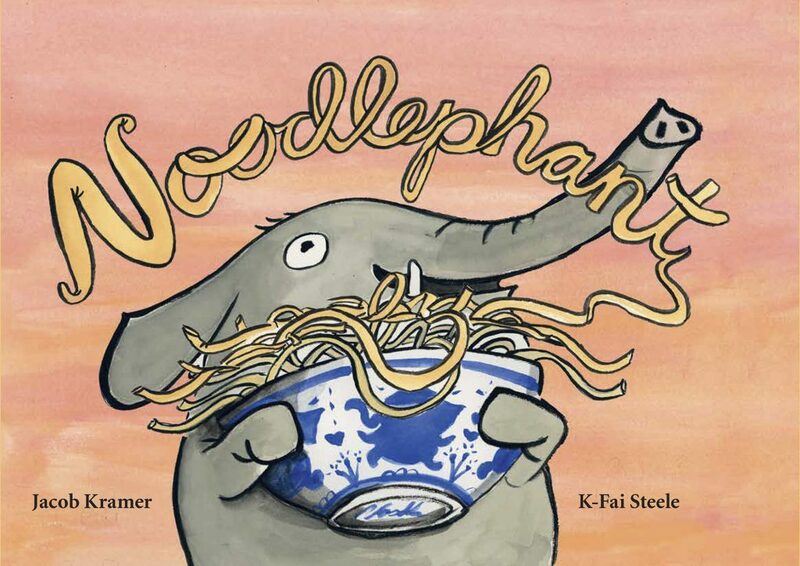 K-Fai takes us behind the scenes of her debut picture book Noodlephant, written by Jacob Kramer (Enchanted Lion Books). “Noodlephant is basically a film; Jacob did the screenwriting, while I got to do casting, set design, cinematography, and more. This is why I love that our cover has both of our names on it, and it doesn’t indicate who did what role, because we both contributed to making the book better than if we had done it alone. 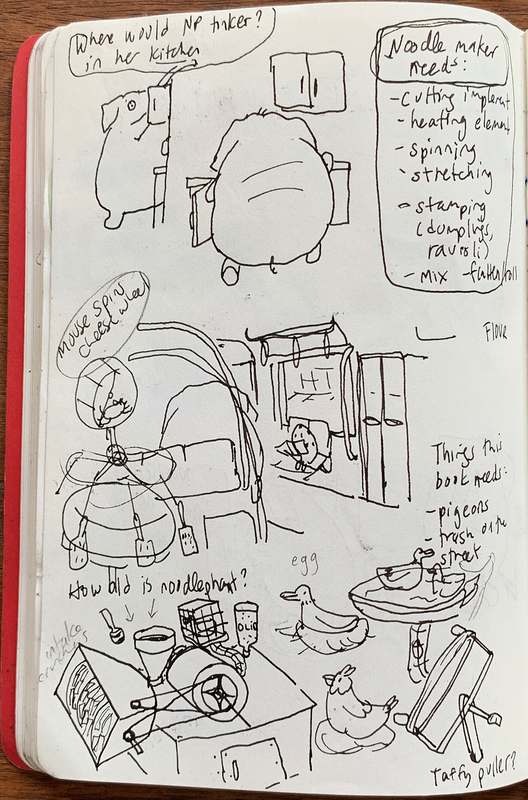 “When I was drawing her home and her pasta parties I thought about all of the extended family dinners I had as a kid where multiple kinds of tables were pulled together so we could all sit together and eat. a zany tale full of pasta puns, friendship, and one Phantastic Noodler.